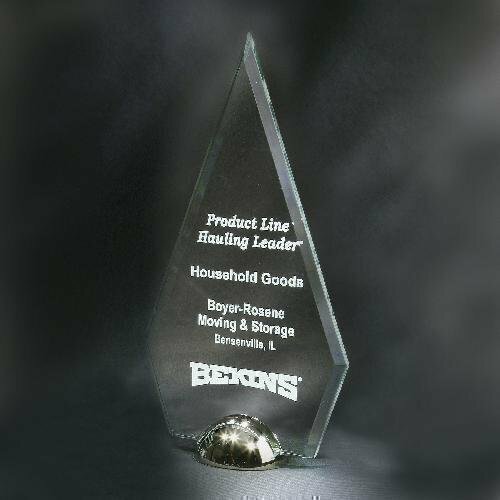 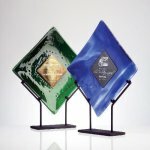 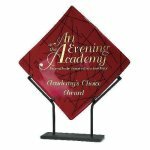 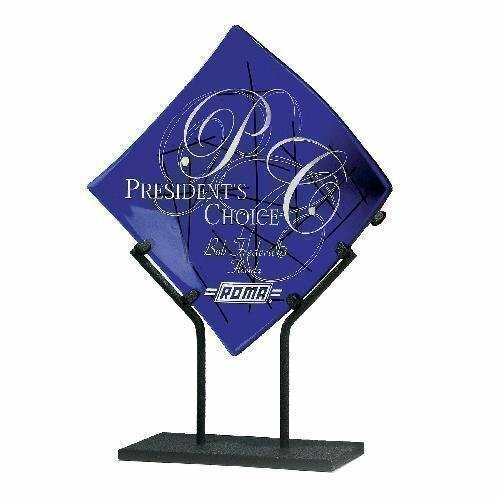 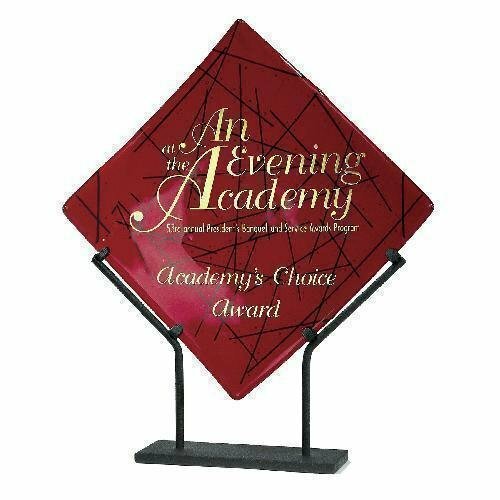 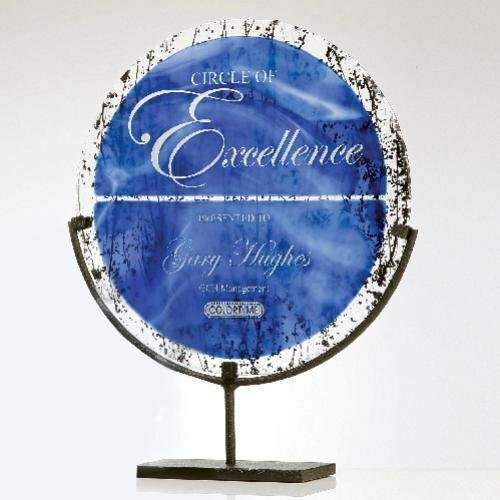 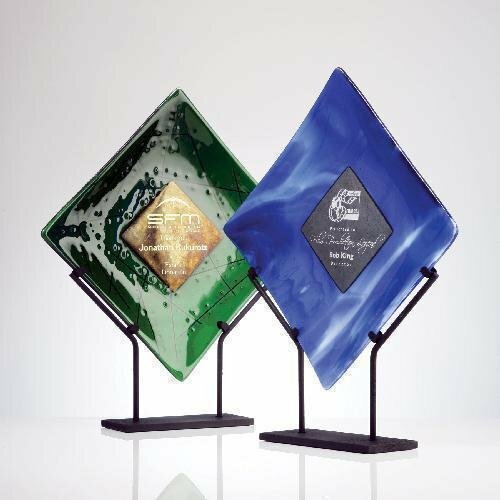 Hand cut and polished jade acrylic diamond shaped award is finished with a shiny bright nickel plated base. 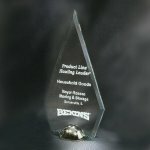 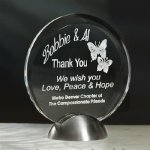 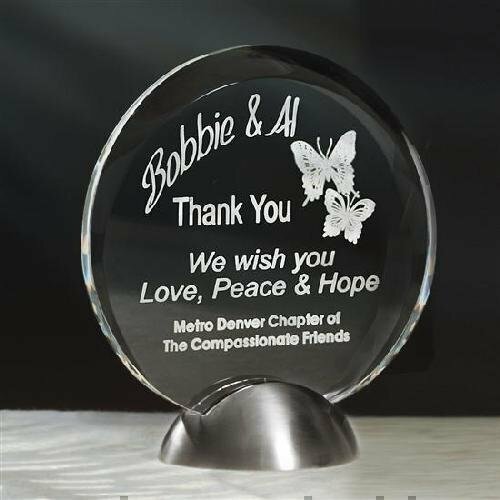 Hand cut and polished clear acrylic is finished with a brushed nickel plated base. 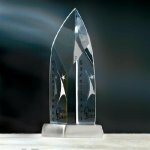 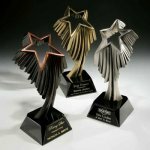 6 1/2" x 7" Imprint: 6" x 6"
8" x 8 1/2" Imprint: 7" x 7"
The swoosh of this shooting star award gives drama and movement to the sculpture. Available in 3 colors; silver, gold and chocolate copper, the finish is a complex combination of antique and bright finishes for an extraordinary effect. 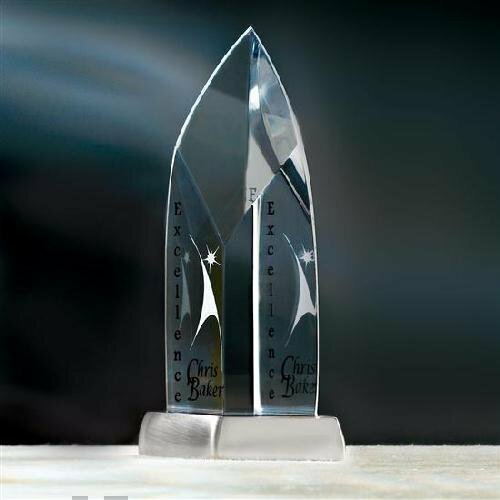 This award stands 11-1/2" tall.